Yes, you read it correctly. Three Yeowww! organic catnip filled balls on one header card are sure to be a hit. 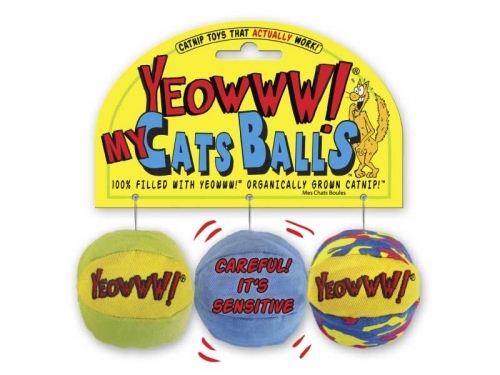 My Cats Balls will send kitty to new heights the minute they start to play.Each ball is 2” in diameter and full of nip.